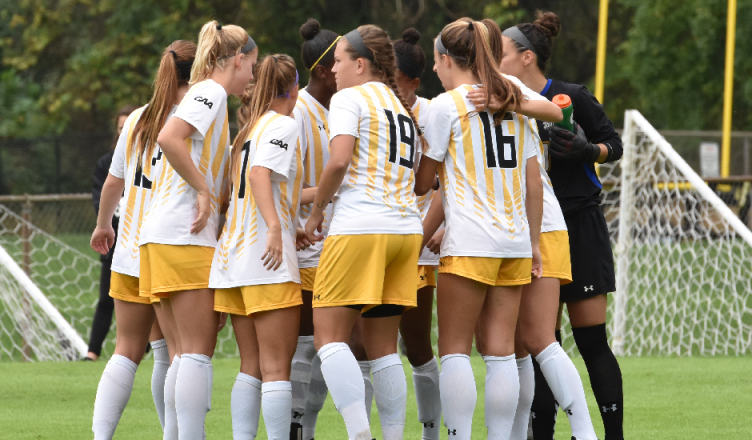 Towson looks to return to the Colonial Athletic Association (CAA) Tournament for the first time since 2014. The team is under new leadership of Katherine Vettori, as she embarks on her first season as head coach of the Tigers. During his 11-year tenure, former Head Coach Greg Paynter led Towson to a CAA Tournament appearance just once. Vettori knows that getting back to the CAA Tournament will not be easy. Vettori looks to establish an aggressive attacking style of soccer, a style that has eluded Towson for several years. In each of the last three seasons, the Tigers placed last in the CAA in goals per-game. Vettori has the recruiting edge to mold the Tigers into an attacking team. She has been a club coach in the area for several years. Towson scheduled four scrimmages for the preseason. The team’s most recent scrimmage was a 4-0 loss at Navy. The team will wrap up its spring schedule Saturday at American University at 10 a.m.